The drama that is Argentina versus American hedge funds could be set to start up again in full force. Mauricio Macri this month replaced Cristina Fernandez de Kirchner as president, after running a pro-business, free-market agenda meant to end the country's status as an international market pariah. Of course to do that it has to clear up its old debts with a bunch of holdout hedge funds, but it has already dropped a very clear hint that it's not going in that direction. According to Bloomberg and media outlets within Argentina, Argentina is trying to go directly to international banks to raise between $5 and $10 billion. That has the hedge fund holdouts worried, according to one person familiar with their thinking. "It's looking like politics as usual in Argentina," the person said. Macri said he would take the country off its dual exchange rate structure and right its economic ship — a 180-degree turn from the previous administration. But that's not what's happening, according to the person. "I would not expect the tiger to change its stripes very quickly," the person said. For Argentina to get back into the world's good graces, it has to pay back all of its loans, and this person says that Macri has "made absolutely no progress whatsoever on resolving the situation" since he was elected. What Argentina must resolve is the matter of almost $2 billion in debt the country owes investors after they purchased its debt following Argentina's 2001 default. 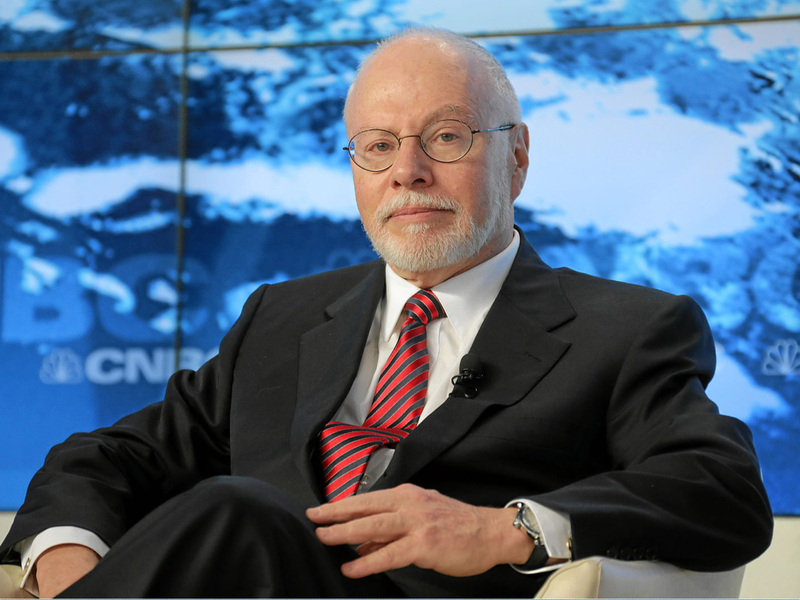 While most investors took a haircut on that debt, a group of holdouts — led by Paul Singer of Elliott Management — did not. Argentina, in turn, refused to pay them and has been locked out of international credit markets ever since. The holdouts have pursued this matter in court and won at every significant turn, but that hasn't changed the Argentine government's stance on the "vulture funds." Meanwhile, the economic situation in Argentina has worsened. Its inflation rate is second only to Venezuela's, and the country's Central Bank reserves are at their lowest level in nine years, according to Bloomberg. That's why Macri entered the presidency with a strong mandate for change. The market hoped that change would come as soon as possible. "The Government’s honeymoon can be short. Thus they will need to seize the day and act decisively," wrote economist Claudio Loser in a recent note. If Argentina settles with the holdouts, it can raise money from creditors all over the world, but it should do this before its economic situation at home spins out of control, Loser added. Instead, Argentina is trying to go directly to international banks to raise funds. The problem with that, though, is that getting a loan from the banks without settling with the holdouts is going to be really expensive. "This deal is exceptionally expensive to Argentina," said the person familiar with the holdouts, adding that it was "probably an overall rate of 12-20% for several billion dollars. That’s much more than even the Kirchner administration would tolerate." \Analysts at Graham Fisher & Co. concluded the same thing and urged Argentina not to take an expensive, potentially harmful deal because of its refusal to settle with the holdouts. "Sources suggest that some of those foreign firms are recommending that the Argentines take on large debts ahead of any settlement so that Argentina would somehow be in a stronger position to approach holders of defaulted debts. This approach is neither fiscally or legally sound," said the report. "Attempting to access capital markets via foreign banks, ahead of a resolution, would only serve to complicate matters," the report added. "First, the debt will naturally have unfavorable terms and be more expensive than post-resolution capital. Second, it would risk embroiling the new government in the legal problems created and perpetuated by the Kirchner regime and would be a counterproductive approach for a new administration seeking a fresh path." "It is a huge mistake to start your administration this way, to signal to the world that you're going to be too cute about the rules." Sometimes when you're too cute for too long, things start to get ugly.